About 40,000 of Rohingya Muslims, who entered India out of despair and lack of places to go, are now at risk of being sent back to Myanmar to face death. The Rohingya Muslims have suffered relentless persecution in Myanmar where tens of thousands have been displaced since 2014. Now, India is also cracking down on the few thousands of them who crossed its borders in search of peace. According to an Indian government spokesman, the 40,000 Rohingya who are living in India “illegally” are at risk of being deported as the country negotiates with Bangladesh and Myanmar. Children belonging to Rohingya Muslim community read the Koran at an informal religious school, at a makeshift settlement, on the outskirts of Jammu in India. While only 14,000 of these refugees are registered with the United Nation’s refugee agency in India, the country has been receiving tens of thousands as Myanmar refuses to recognize the Rohingya as residents with legal protections. As Myanmar officials send troops to the Muslim-majority state of Rakhine in northwest Myanmar, the Rohingya brace for more crackdowns. And without the knowledge that they could find refuge in places like India, there’s little hope left for those escaping persecution and certain death. Since 2016, when an altercation between Rohingya insurgents and border police killed nine Myanmar officers, the government has been relentless in its attack against Rohingya communities. 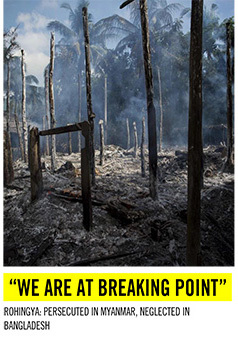 As a result, villages have been wiped out, prompting those who survived to flee. Due to this increased crackdown on the Muslim sect, at least 75,000 fled the country for Bangladesh. But the situation has been just as bad for those who reach Bangladesh as they are forced to live in overcrowded, unsanitary, and flooded camps. With about 40,000 of them having rushed to India hoping for a better way out, things may get worse if Bangladeshi officials are forced to take more refugees in as it may not have the structure to support them. With other countries, such as Australia refusing to give the Rohingya any aid, it’s unlikely that these persecuted Muslims will be able to find a home in a neighboring nation anytime soon. 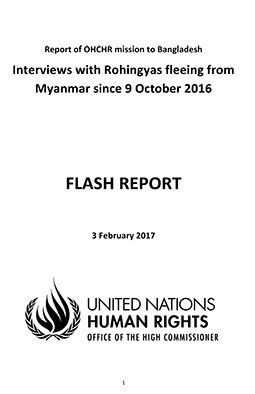 In the meantime, the UN has repeatedly attempted to investigate the claims of abuse and genocide involving Myanmar, but the country refuses to even acknowledge the accusations. 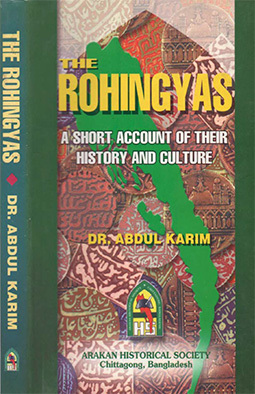 Being the most persecuted group in the world, the Rohingya have endured a great deal of suffering over the past decades. It’s time for those countries who are concerned about their situation to step up their efforts to help find a solution to this problem before it’s too late.